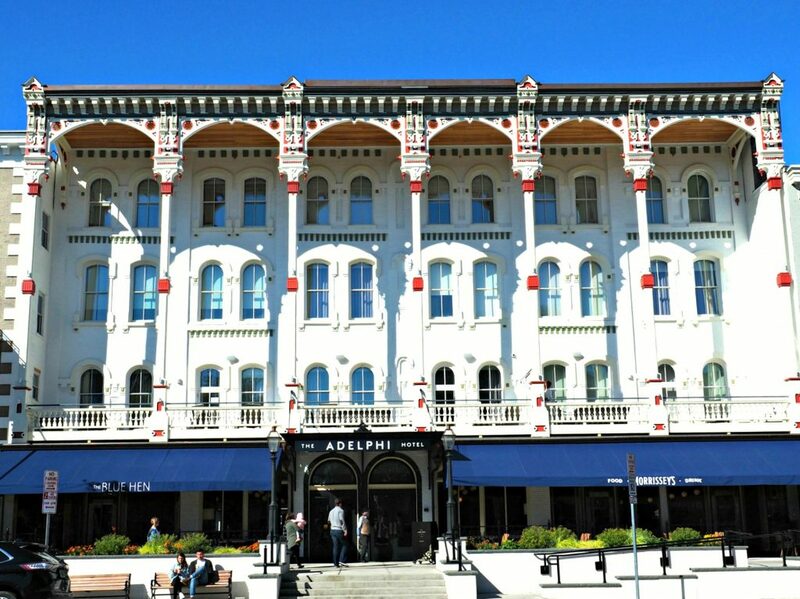 ‘Indulge, Imbibe, Escape’ is the mantra for the recently opened and exquisitely renovated Adelphi Hotel in Saratoga Springs. This historical boutique hotel has been around in downtown Saratoga Springs for 140 years making it a well known landmark. 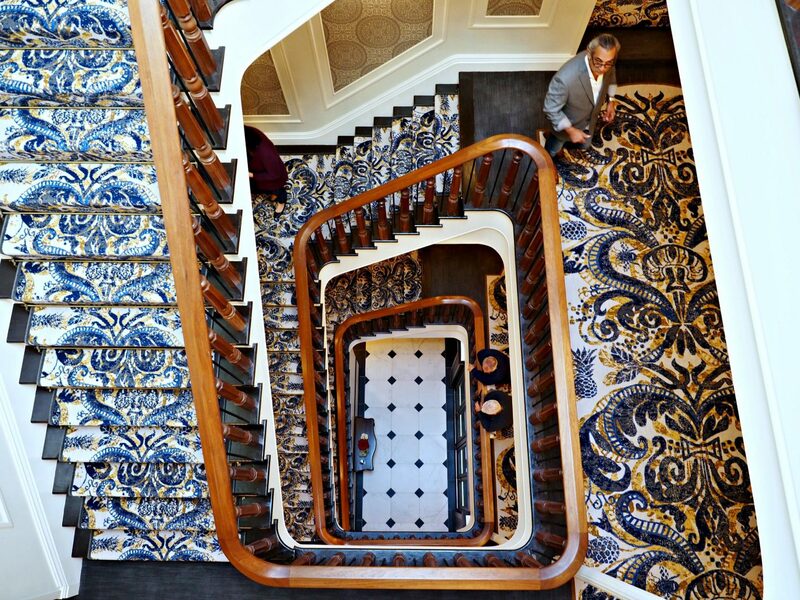 Recently it has gone through a 5 year renovation, bringing every inch of this historical hotel back to life and to its full glory. Walking up to the intricate original facade feels as though you’ve stepped back in time. Stately doors flanked with attentive and impeccability dressed door men await your arrival. You feel as though you’re a 19th century socialite visiting Saratoga for a weekend filled with prominent horse racing events. 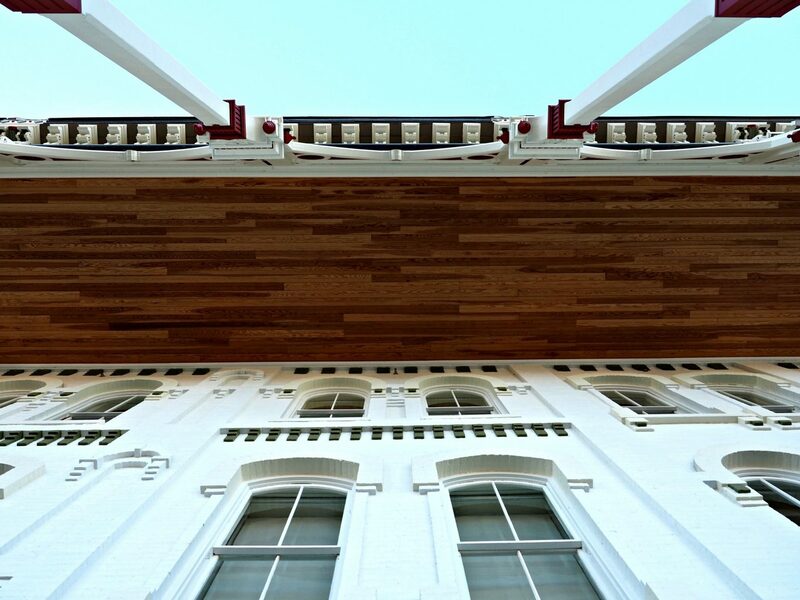 Once inside the lobby you’re met with a tasteful modern Victorian style. Chic upholstered chaise lounges flank a large indigo velvet circular banquette that sit atop large white marble tiles. Beautiful dark wood columns, gold retro light fixtures, and an original wood staircase catch your eye instantly. 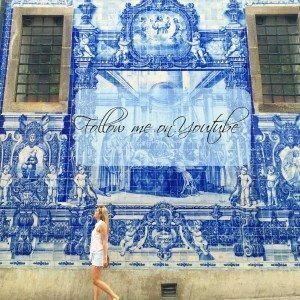 You feel as though you’ve stepped back in time in the chicest way possible. I entered into my room and squealed with delight at the sight of my four poster bed overflowing with a comfortable, pristinely pressed duvet. 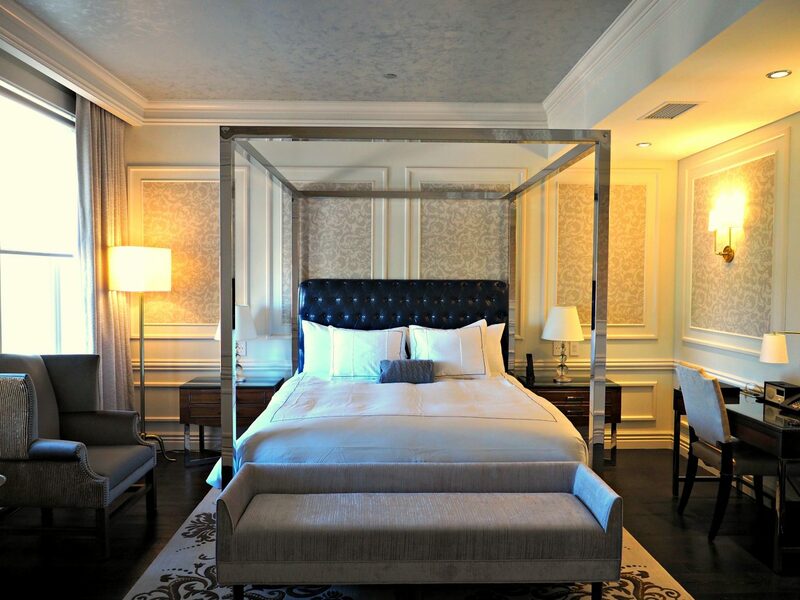 Every square inch of the room is thoughtfully designed, even down to the button by the bed that opens up the curtains. My room was spacious, impeccably designed, and very comfortable. I walked into the large on suite bathroom and fell in love. Marble basket weave tiles on the floor, a large modern freestanding tub, spacious shower, heated toilet (yes heated seat! 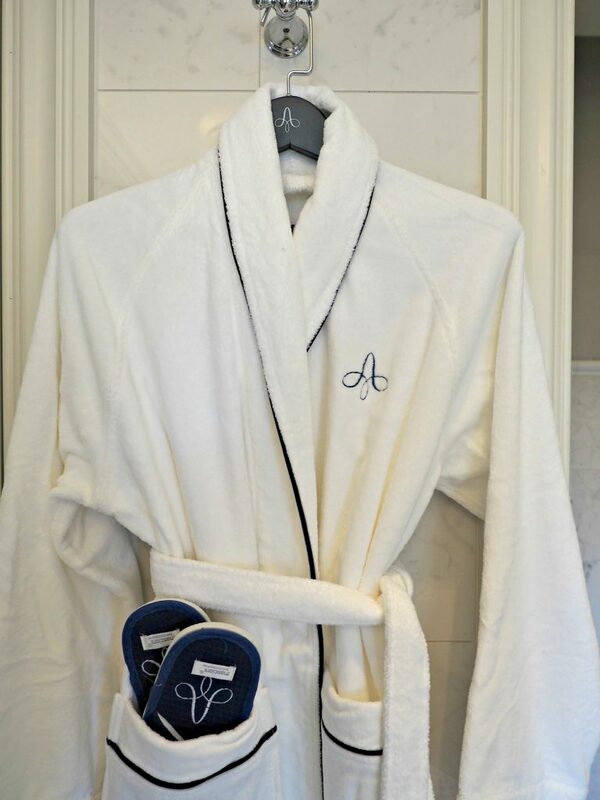 ), large double vanity, and the fluffiest robe and slippers imaginable. I could have stayed in there for years… but I was hungry. 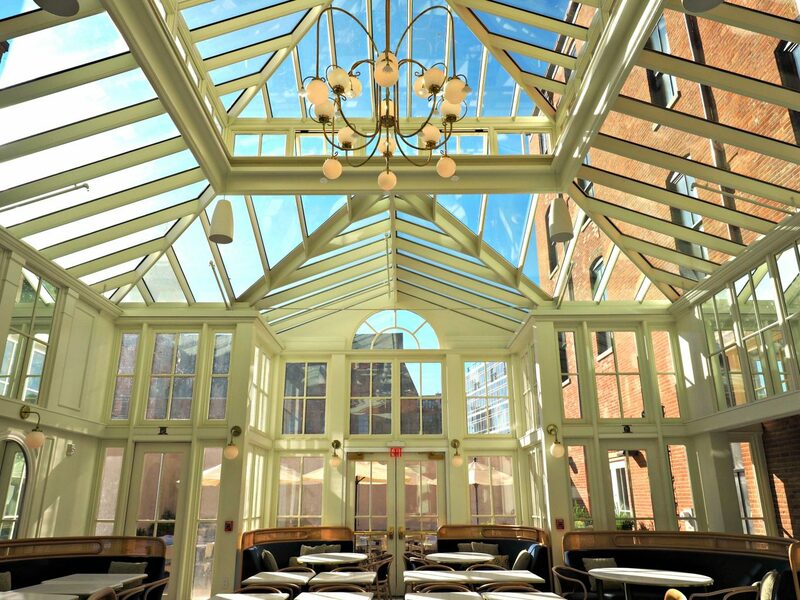 At the Adelphi hotel you have three equally as impressive dining options; upscale casual food at Morrisey’s in the lobby, innovative cuisine in a spectacular setting, or savory steaks at the popular Salt & Char. Oh, did I mention creative craft cocktails were ever-present? As if the beautiful hotel, plush accommodations, and delicious food wasn’t enough the staff is nothing short of top-notch. At every moment during my stay I felt welcomed. There’s an immense amount of pride that exudes from the staff about their renovations and rightfully so, it’s incredible. I have a hunch that this hotel will be one of the hottest hotels to visit for a while and with Saratoga being such a charming yet underrated city that hunch is even stronger. 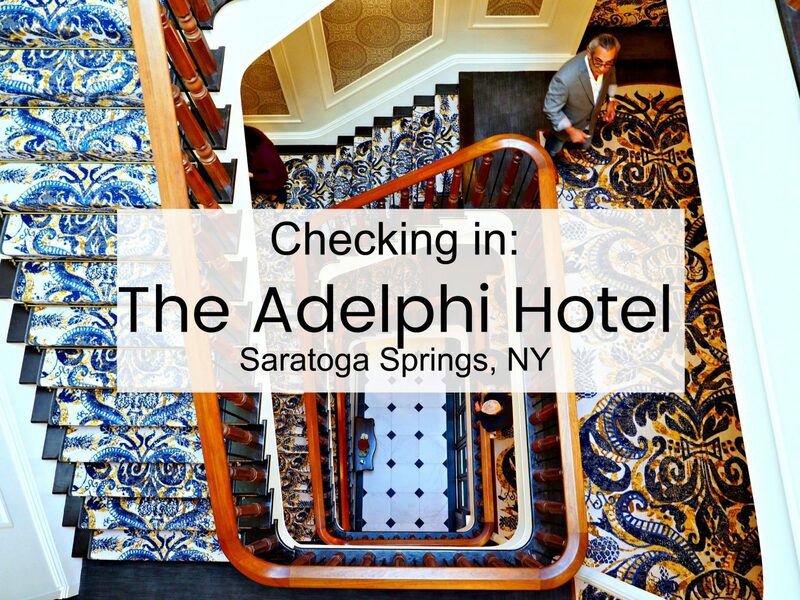 If you are ever in Saratoga Springs, make sure to check out the Adelphi Hotel, you won’t be disappointed.